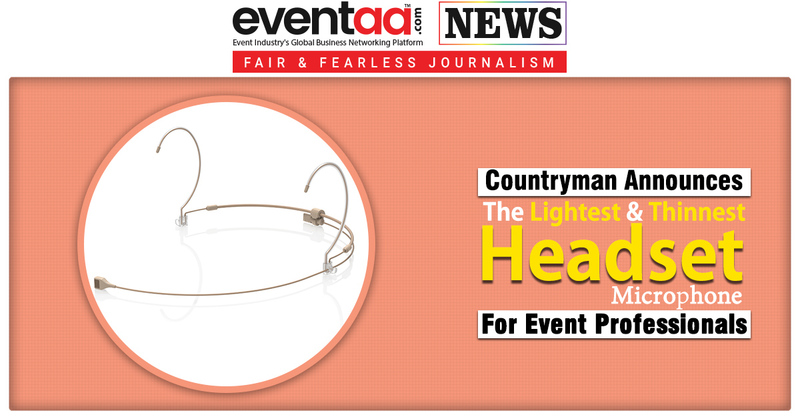 Countryman a known brand to produce earpiece and microphone headset has introduced the new H7 Headset Microphone. Based on their earlier version H6 the latest H7 version is effective in shutting down the surrounding noise. The microphone headset is designed for broadcast professionals, performers and presenters to achieve clear, natural sound quality that is free from ambient sound sources. Probably, it will be the lightest and thinnest microphone headset in its range. The head-frame easily adjusts to fit different head sizes H7 while the snap-on cable attaches in seconds to adapt the headset for virtually any wireless system or powered interface. The headset is water resistant and can be used for outdoor events and rainy days.